When people discuss the roots of popular music, we often find mention being made of the blues or jazz genres. However, if it were not for gospel music the face of popular music and r&b would not be the same. Fortunately, we have some amazing pioneers of the gospel sound like Lettie-L who has taken the legacy of the Lord’s music to a new plateau. Based in Worcester, Massachusetts, gospel singer and songwriter Lettie-L is rapidly becoming a source of inspiration for people around the world. Her music is not only a blessing for enthusiasts of the gospel sound, but lovers of pop, rock, and soul music. Impressively, Lettie-L has crafted a signature style of melody that makes you want to dance and sing praises to the Most High at the same time. This is an exceptional approach for those of the faith, as dance in many cultures is a way of releasing negative energy. Lettie-L’s new album Yahweh is a testimony of this brilliant concept. Yahweh is a wonderful 10-track LP that wonderfully transcends the thesis of what we call gospel music today. The album opens with a beautiful song titled To You I Confess, an excellent tune about godly devotion and dedication one’s faith. O Lord Help Me Understand and I Cannot Help Myself, Jesus follow the opening track. These two songs really solidify the album’s sound and structure, as the music delightfully draws its influences from calypso, country, and soul. As a songstress, Lettie-L is creatively able to paint revelations of encouragement that serve as an aid in healing the soul. Lettie L’s voice is reminiscent of greats like Nina Simone. Her gift as a songwriter can be seen from all the large array of musical gems that appear on the Yahweh album. I Give To You My Life and All is an amazing ballad that displays Lettie-L’s skill as a vocalist. Affliction Will Not Rise up a Second Time is an immediate favorite that has strong radio appeal. Listeners will find the song’s theme and its poetical prose truly encouraging. Lettie-L’s warm perspective on life and her faith is captured in the memorable song How Can I Hide Myself. Lettie-L’s ingenuity as a songwriter and singer really shines on the title track Yahweh. An unorthodox performance of sorts, Yahweh breaks the traditional barriers of gospel music in its organic arrangement, offering listeners a breath of fresh air in melody. What Do You Take Our God For and I’m Laughing All My Enemies to Scorn are two wonderful upbeat songs that display the range of artistic vision that gospel music encompasses. The Yahweh album culminates in its final track You Reign. As a song of praise and tribute, Lettie-L is able to put the finishes touches on an outstanding album. 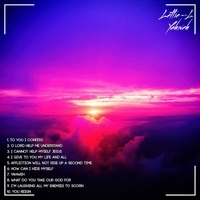 Yahweh by Lettie-L is not only one of the finest gospel albums to date, its music and song structure are intelligently weaved together to create what is bound to be a masterpiece of the genre. The Yahweh LP is music of an exceptional quality that can be enjoyed, but also studied for its value as a piece of art. Thank you Lettie-L! Rahn Anthoni’s New Single “Highway” Is A Wonderful Ride!